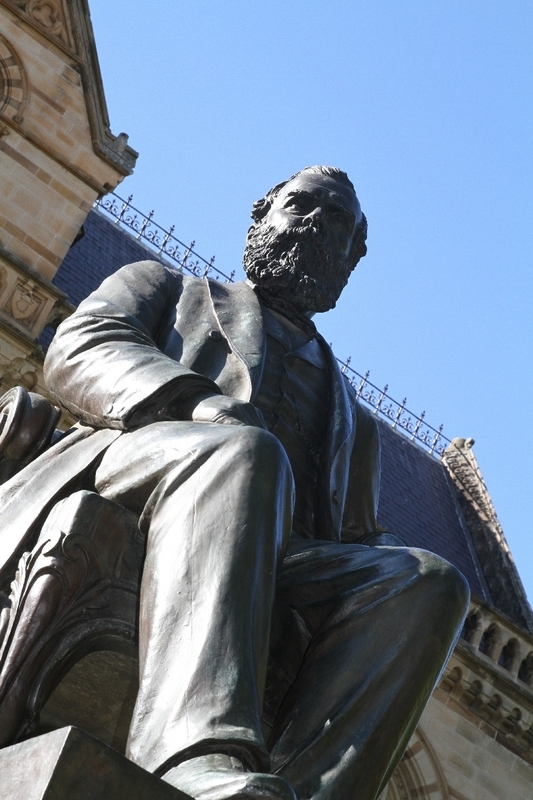 The University of Adelaide was South Australia’s first university. 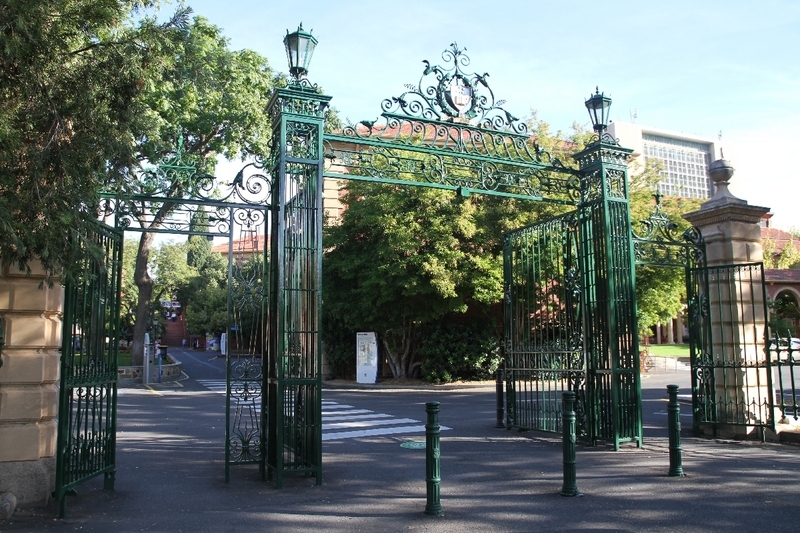 It was established in 1874 by an Act of Parliament and the South Australian government set aside land on North Terrace for the new university. While work on the buildings took place, classes were held at the Training School for Teachers on Grote Street. The Mitchell Building was the first building of the University. Architect James MacGeorge won a competition to design the building in 1877. Scandal marred the process, with Melbournian Michael Egan first replacing MacGeorge as the architect. He in turn was replaced by William McMinn and Edward John Woods. While McMinn was given credit for the final design of the Mitchell Building, much of it was apparently based on Egan’s design. The foundation stone was laid on 30 July 1879 by Governor Sir William Jervois. The first classes were held in the building two years later, although it was still being built. The Mitchell Building was finally finished in 1882. 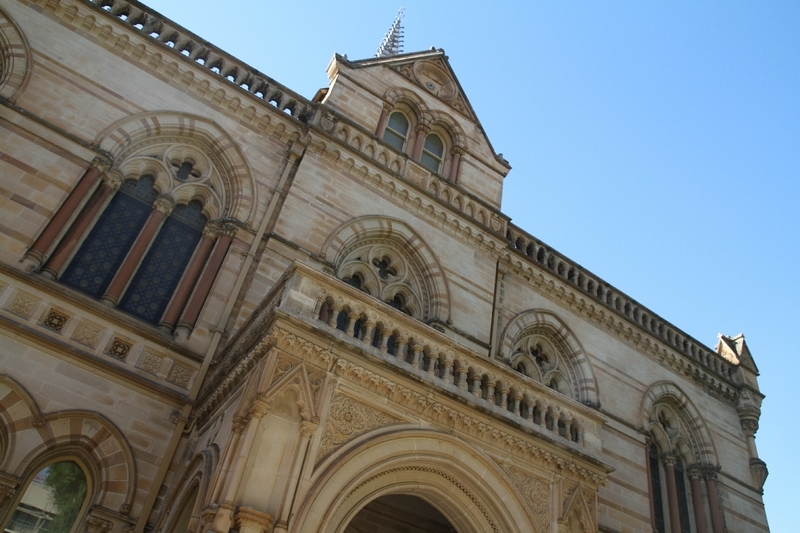 When it opened, the South Australian Weekly Chronicle described the Gothic building as a “thoroughly academic design”. This building housed all of the university’s faculties and activities until the completion of the Elder Conservatorium in 1900 and the Prince of Wales Building in 1902. In 1961 the building was named in honour of Sir William Mitchell, one of the university’s first philosophy academics. He was also the university’s vice-chancellor from 1916-1942 and its chancellor from 1942-1948. 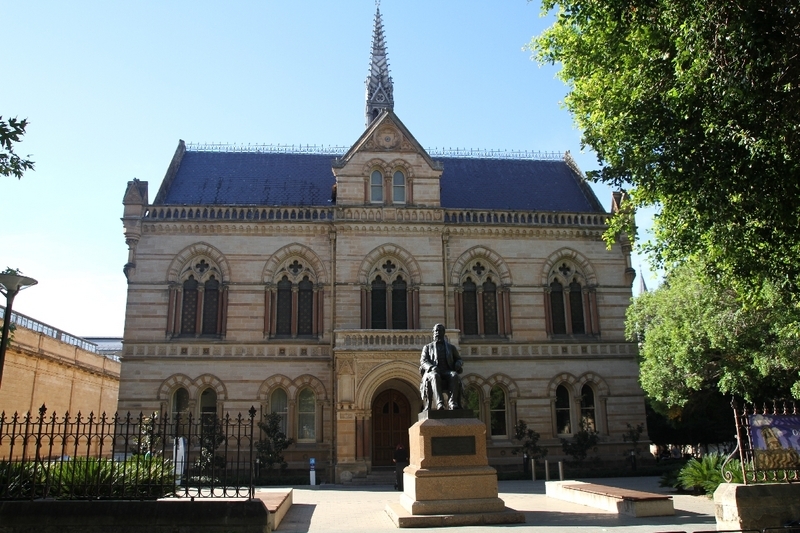 “University of Adelaide: Mitchell Building,” Adelaide City Explorer, accessed April 26, 2019, https://adelaidecityexplorer.com.au/items/show/86.